The Serbian Orthodox Church (SPC) is celebrating January 27 as the feast day dedicated to its founder, Saint Sava. Since the mid-19th century, this day is also marked in Serbia as “the school feast day” as St. Sava is considered the patron saint of schools and crafts. 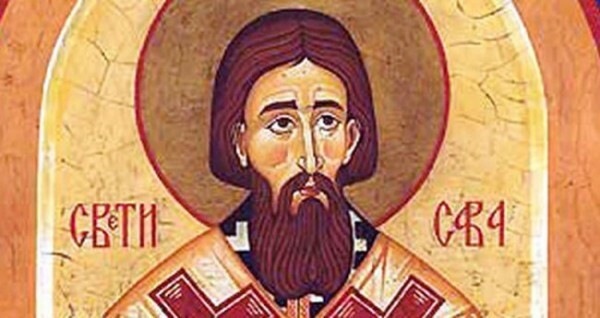 St. Sava was born in 1174 as Rastko Nemanjic, the youngest child of Serbia’s Grand Prince Stefan Nemanja. His enthronement in 1219 as archbishop established the autocephalous Serbian Orthodox Church (SPC). As the founder of the medieval Serbian literature, he is today celebrated as the patron saint of educational institutions. St. Sava and his father together founded Hilandar and built 14 other monasteries. For this reason is considered the benefactor of the first Serbian spiritual community on Mt. Athos. He died in 1235 in Trnovo, then the capital of Bulgaria. His body was transferred to the Milesevo monastery in Serbia in 1237. St. Sava’s Temple in Belgrade is built where in 1594 Ottoman Turk occupiers burned his remains.